Somewhere over the rainbow, way up high learning to tell the time is masses of fun. 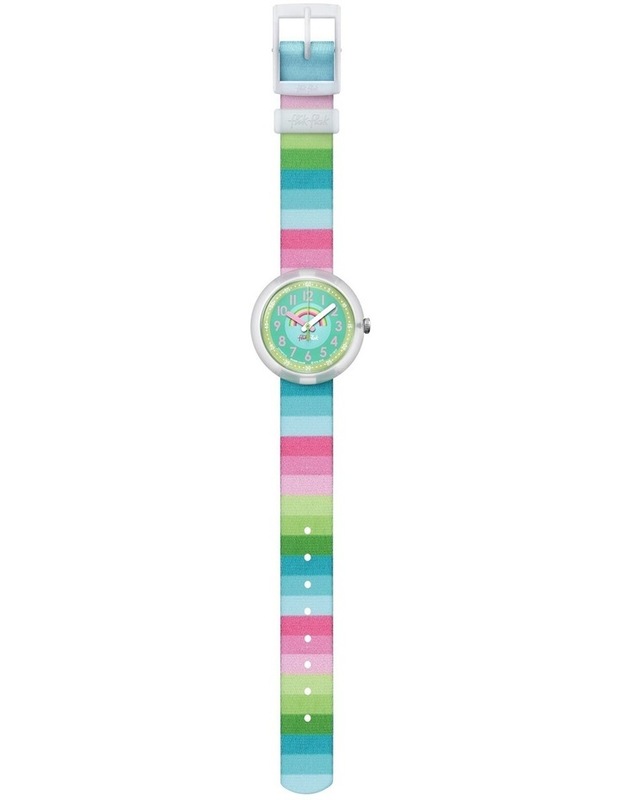 On this colourful Swiss watch for kids, stripes pave the way to awesome accessorizing. 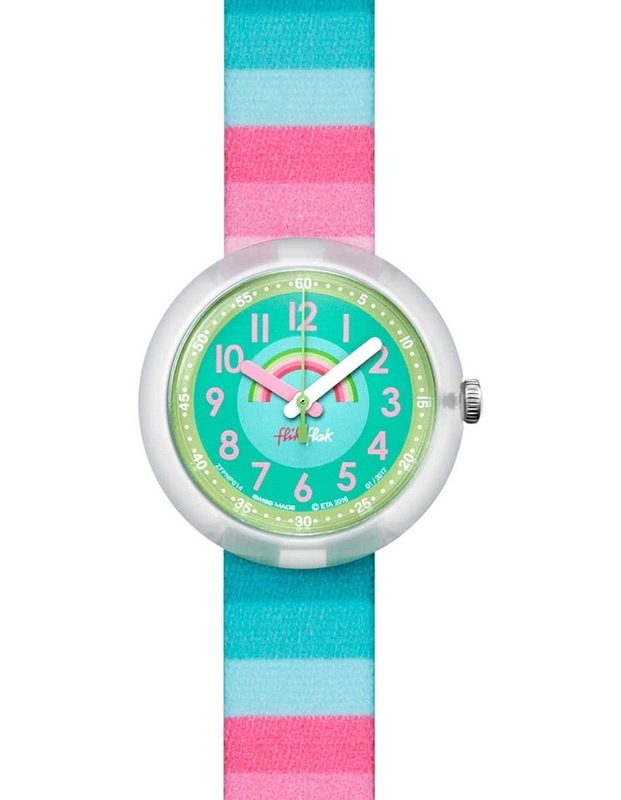 It makes timekeeping go like a dream, rain or shine.